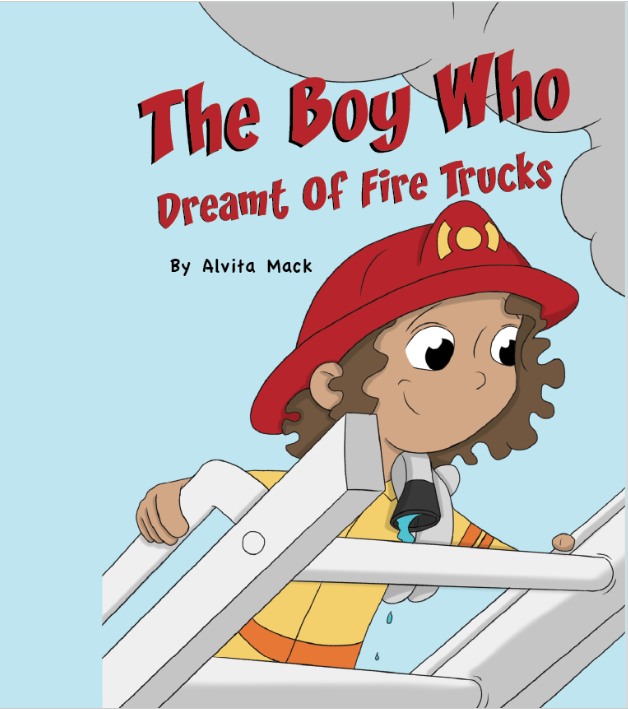 Description: This story is about a little boy who is fascinated by fire trucks. Throughout his early life, he has dreams about the adventures at the station and the exciting life of a firefighter. The little boy holds his dreams close until one day they become a reality. 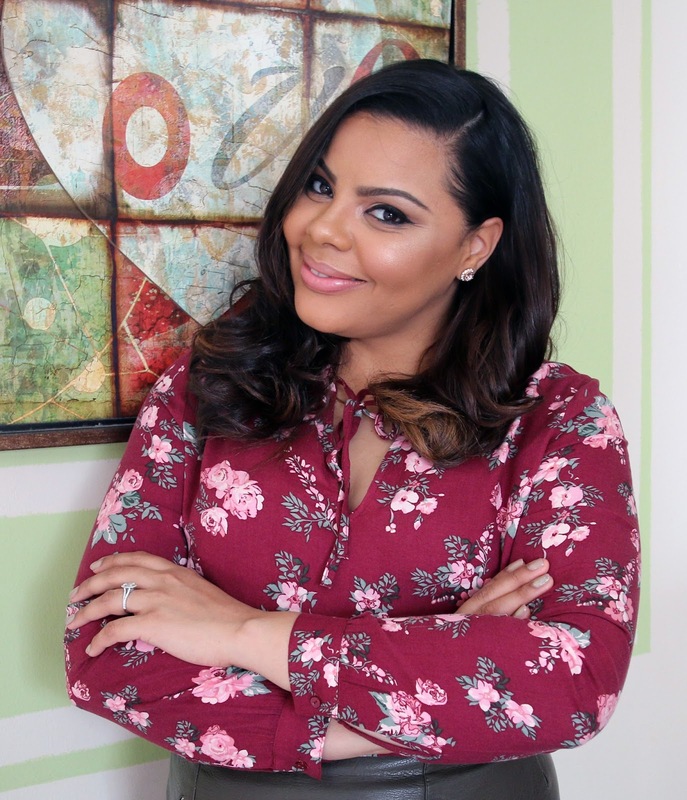 To follow the tour please visit Alvita Mack’s page on iRead Book Tours. Do you have another profession besides writing? I am actually a full-time teacher in New York City. How long have you been writing? I have been writing since I was a little girl but I started seriously writing ten years ago. Do you ever get writer’s block? What helps you overcome it? I get writer’s block from time to time but when that happens, I take a break and I work on something else or do something that has nothing to do with writing, so I can clear my mind and relax. What is your next project? I am actually working on a book that features a little girl and her dreams. I am all about girl power. I think girls and women are phenomenal and we can do anything we out our minds to, so I wanted to have something for young girls to relate to and be inspired by. What genre do you write and why? I like right fiction because it allows me to explore my imagination. A fun fact is started off with writing poetry in school because I was inspired my Langston Hughes. His words gave me comfort and I wanted to do that, but somehow I began creating full lengths stories in my head, so I ran with the idea. Enter the Giveaway! Win a copy of The Boy Who Dreamt of Fire Trucks + a $5 Amazon.com gift card (open internationally to wherever Amazon delivers – 1 winner) Ends June 30, 2018. CLICK HERE TO ENTER. Good luck! I’m excited to be part of the book blast for the new adventure story from Susan Aylworth, Rescue. Read all about it and then enter the giveaway for a chance to with $50 via PayPal or Amazon GC. Happy Reading! What will it take to stay alive? When Dulce wakes up hanging in a giant mapajo tree, she fears she may be a lone survivor, stranded in the Amazon rainforest. What comes next may be even worse. The last thing sixteen-year-old Dulce Donovan wants to do is move away from her friends and hot new crush. But her parents insist, and she has no choice but to get on the airplane taking her to Lima, Peru. When the plane crashes in the middle of the Amazon jungle, Dulce feels lucky to survive. But as she faces injury, disease, and deadly insects and reptiles, she discovers that the price of living is high. Injured and miles from any civilization, Dulce must push her way through a dangerous jungle, looking for any miracle that might come her way. Susan lives with Roger, her husband of 48 years, who is also a writer. Although they maintain a home in northern California, they currently serve as addiction recovery missionaries in the Navajo Nation. Susan loves hanging out with her seven children, their perfect-for-them spouses and 26 grandchildren. When she can’t be with her blood family, she hangs with her fictional characters, the children of her mind. Rescue is her fifteenth published novel. The only time Izzy feels at peace is when she’s on the open water, and more than anything else, she wants to become a member of the Dandelion Paddlers, her school’s competitive rowing club. But thanks to those multiple trips to the Principal’s office, Izzy’s parents force her to enroll in Mrs. Whippie’s Charm School, a home-study course in manners and etiquette, or they won’t let her race in Dandelion Hollow’s annual pumpkin regatta—where Izzy hopes to prove to the Dandelion Paddlers she is more than qualified to be on their team. The bracelet and the first charm appeared the day I punched Austin Jackson in the nose. I didn’t mean to slug him. His face just got in my way. It was a bruising end to a disastrous first month in middle school. You know that kid in class that everyone secretly (and not so secretly) thinks is weird? The one people laugh and point at behind their back, the one who gets picked last in gym class, the one you wish you hadn’t gotten stuck with for a science partner? At Dandelion Hollow Middle School, that kid is me, Izzy Don’t-Call-Me-Isabella Malone. Truthfully, my slide into loserdom started in elementary school and was pretty much an established fact by the time sixth grade started last month. It’s partly because my mouth often has a mind of its own. But I think it’s also because there are a bazillion other things I’d rather do than talk about boys, clothes, and makeup, and I refuse to wear strappy sandals and short skirts. I do like skirts, though. Really long colorful ones I get from Dandelion Thrift. I like to wear them with my camouflage combat boots. I call the look Camohemian. Click HERE to enter the Rafflecopter Giveaway. Good luck! After recently returning from a rain-filled day at Hong Kong Disneyland — which was, of course, magical despite the weather — I can already see my next Disney adventure at California’s Disneyland with this handy guide in tow. What a brilliant idea to lead visitors through a somewhat overwhelming array of activities by coordinating a scavenger hunt. Author’s Bio: Catherine Olen has enjoyed a love affair with the magic of the Disney theme parks for as long as she can remember, counting herself among Disneyland passholders for the last twenty-five years. Previously, Olen owned and operated Hollywood Grave Hunter and is the proud author of The Final Curtain: Celebrity Deaths and The Upside of Undertaking, chronicling her previous career experiences. She has been a correspondent to Entertainment Tonight (US and France), The Biography Channel, Reelz Network, and the Mark & Brian radio show. WIN a Disney Prize Pack with a print copy of The Great Disneyland Scavenger Hunt, a “Mickey” or “Minnie” Disney plush toy and a $10 Disney gift card (10 winners total, open to USA & Canada). Ends July 30! It was such a treat to review Joan Holub’s The Knights Before Christmas last year, that I jumped at the chance to join the book blast for her just-released board book This Little President: A Presidential Primer coordinated by Mother Daughter Book Reviews. Learn about the US presidents with this bright and playful board book! Highlighting ten of the most memorable presidents—and featuring all forty-four on the last page—parents and little leaders-in-training alike will love sharing this fun primer full of age-appropriate facts, leadership skills, and White House history. See more at Little Simon. I’m so pleased to be participating in the Book Blast for the fun-filled picture book, “Goo and Spot in the Do Not Wiggle Riddle” by Elsa Takaoka coordinated by Mother Daughter Book Reviews. Be sure to grab a FREE copy of “Goo and Spot in the Do Not Wiggle Riddle” and “Goo and Spot in the Great Zoo Escape, December 8th and 9th, 2015 on Amazon. Just click on the image below. 4.4 out of 5 stars with over 100 customer reviews. Two time #1 Amazon Best Seller in Manners. Illustratated by former DreamWorks Big Idea storyboardist Catherine Toennisson. Funny, silly and sweet, Goo and Spot teaches the importance of good listening skills. This amusing riddle educates without sounding like lessons and lectures. Instead, it has a fun and imaginative style. This book about Goo and Spot’s amazing and colorful adventures will tickle a child’s funny bone with a valuable lesson learned along the way! Also FREE December 8th & 9th, “Goo and Spot in the Great Zoo Escape”. Coming Soon: A *NEW* “Goo and Spot” Book!! Budding author Elsa Takaoka puts her pen to paper and creates a fun and heart-warming story. Spinning words with natural creativity, Elsa discovered her love of language at a very early age. She then pursued a career in Speech Language Pathology and English as a Second Language until the birth of her first daughter. Reading to her own little girls sparked her whimsical journey through children’s literature. Her dream to write and publish a picture book was achieved with Goo and Spot and The Do Not Wiggle Riddle, the first in the Goo and Spot book series. Currently, Elsa lives in Fukuoka, Japan with her sources of inspiration- her loving husband and their two adorable little girls. Terms and Conditions: NO PURCHASE NECESSARY TO ENTER OR WIN. VOID WHERE PROHIBITED BY LAW. A winner will be randomly drawn through the Rafflecopter widget and will be contacted by email within 48 hours after the giveaway ends. The winner will then have 72 hours to respond. If the winner does not respond within 72 hours, a new draw will take place for a new winner. Odds of winning will vary depending on the number of eligible entries received. This contest is in no way sponsored, endorsed or administered by, or associated with Facebook. This giveaway is sponsored by Elsa Takaoka and is hosted and managed by Renee from Mother Daughter Book Reviews. If you have any additional questions – feel free to send an email to Renee(at)MotherDaughterBookReviews(dot)com.